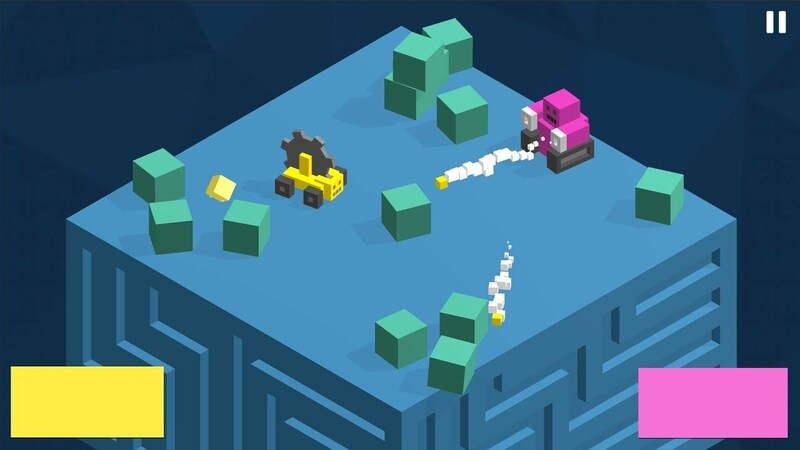 Gameplay showing BotSumo. BotSumo is a simple 2-player Android/iOS game that can be great fun when you have a few minutes to spare. Grab a friend & use the on-screen control (there’s only 1 button! ), choose a bot, & push your opponent off the edge.